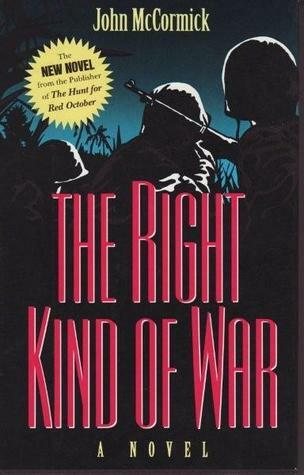 "The Right Kind of War" is a rare type of book, with characters you feel connected with right from the start. Initially I was uncertain if I would enjoy the story, since it didn't seem to be heavily based on the actual war. I decided to buy it anyway (it was 99p! ), and it was a great way to spend the change I had in my pocket.The story follows a group of soldiers through WWII, and deals with the stress of losing allies and buddies during the war. The title is derived from an interesting conversation that takes place during the course of the story. I won't spoil the conversation, but safe to say, it is a good reflection of the mindset within the army. The protagonist's full name is never given, and he is known only as Private Moe. In this sense it manages to make the characters around him feel more human, since Moe is not reflected upon much. McCormick has written a powerful novel, and I believe his writing style is part of the reason for that. Each scene seems to play out exactly as planned, with the story having a powerful effect in different places.Something that does have to be mentioned, though, is the fact that McCormick manages to give some entertaining lines, reminding readers that even in the worst moments of the war, people still found a way to have some fun with the lives they lead, understanding they could be cut short at any moment. There is one line in particular which had me laughing for a few minutes because of how cold it sounded, but also how fitting it was. The line comes during the early part of the story, relating to the Marine Raiders' training, and it involves the correct method of stabbing an enemy soldier.For McCormick to have drawn upon his experiences in WWII, the novel feels accurate to the events it tried to describe, and the ending has to be noted as one of the finest I've read in a World War II novel. It is meaningful, without feeling overly done, and it gives a fitting conclusion. All in all, I'd consider The Right Kind of War something worth reading.